Whether it’ something flashy or prim, you can tell a lot from a man’s watch. Here, we compare two most sought after timepieces – the Rolex Submariner and the Omega Seamaster – and give you the places to buy them online at the best possible price. The question ‘which watch is better, an OMEGA Seamaster or a Rolex Submariner?’ is highly debatable among wristwatch aficionados. The first step to finding the answer is that all Submariners and Seamasters have different attributes important to the buyer or owner. The Rolex Submariner history started in 1953 as Reference 6204 at Basel Fair showcasing a thin case and waterproof at 600ft. Two years later, similar timepieces were produced namely Ref. 6205 (thicker case, different case shape, new caliber A296, depth rating of 660ft) and the Ref. 6200. The ref. 6536 and 6538 joined the Submariner family in 1956. The ref. 6536 and 6538 joined the Submariner family in 1956 with the caliber A160 and then replaced by caliber 1030. The Ref. 5510 and 5508 came onboard, with 5 and 6mm crowns respectively in 1958, and then the Ref. 5512, a certified chronometer was introduced in 1960 with a 7mm crown, protective crown guards, and caliber 1530. The identical non-chronometer version appeared as Ref. 5513 two years later. The first Submariner Date debuted in 1965 as Ref. 1680. In 1986, the Ref. 16800 was created and sapphire crystal and the caliber 3035 were added to the watch. 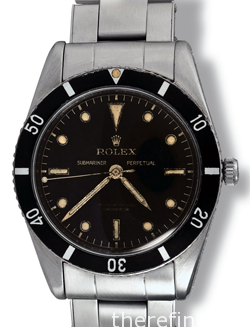 In 1989, the Submariner Date became the Ref. 16610, and the non-date Ref. 14060, with the addition of the caliber 3135. Although current models are still very similar to very early ones, the Submariner has been updated over the years. The Submariner is fitted with a case made from solid block of 904L stainless steel, a corrosion-resistant alloy, or gold, made in Rolex’s own foundry. It is also waterproof to a maximum depth of 1000 ft. and equipped with Triplock system waterproof crown, featuring a triple gasket system, identified by three dots on the crown, which screws down tightly onto the case tube and against the Oyster case to provide a superb in-house movement. The submariner is fitted out with a perpetual rotor in the self-winding wristwatch mechanism, which can continue to run for up to 40+ years even with minor maintenance. The submariner comes in various metals and dial colors. The unidirectional bezel has a strong, unique feel, which enables a diver to memorize and follow immersion time. If you asked an average person-on-the-street about wristwatches, certain brands will be mentioned starting from Timex and Casio, moving up to SEIKO and with ROLEX at the top. While the general public knows certain brands which are well publicized and marketed, there are other equally superior products that they may be totally unaware. For the wristwatch aficionados, the general public can be fully unaware of the true collectors’ fine watch choices such as Alain Siberstein, Chopard, and Ulysse Nardin to name a few. Rolex pioneered and invented major watch concepts like such as the first “certified chronometer,” the first effective “waterproof” and dustproof watch casing, the first wristwatch with an automatic changing date, and the techniques used in mass-manufacturing of premium watches. Their reputation rose from being broadly publicized timepiece to a luxury wristwatch of the affluent people. Rolex has become a household name. The most popular fine watch in the world and its popularity matches its prices. Rolex submariner prices for a new one are in the range of at least $6,000 and upwards of $30,000 once gold and diamonds are embedded. Prices can even get a more dramatic increase when finer metals like unobtanium are used. 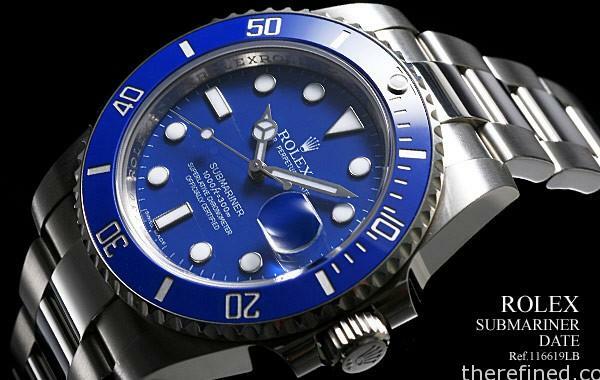 While the Submariner isn’t the most expensive Rolex, they certainly hold their own. The OMEGA Seamaster line is the oldest in the current collection launched in 1948, although its history dates back all the way to 1932. It is originally intended for active individuals who wanted a watch for “town, sea and country”. Early designs were water resistant where few had functions other than basic display of the time and occasionally the date. The look of Seamaster changed to a sportier and trendier in the 1970s. The new functional look came with more diver-oriented features, such as calibrated rotating bezels, chronograph functions, high-visibility dials, and higher depth ratings. In 1988, the “Professional” series of Seamaster watches was introduced and since then, the line has gone through several transformations. Today, OMEGA makes sure that every watch they make has at least as much water resistance just like the early Seamasters. The Seamaster is an automatic winding chronometer and quartz timepiece. It has a stainless steel case and bracelet with OMEGA symbol clasp, screw-in crown and caseback, engraved with the OMEGA hippocampus logo. It is water resistant for up to 1200-metre, and has a phosphorescent hands with unidirectional bezel; blue, silver or black dial with orange accents, sapphire crystal (anti-reflective) and helium release valve. First generation (1988) – 200M water resistance; Rotating bezel with toothed outer edge; Second hand with dot; Hour hand with the ‘Mercedes’-like symbol; Metal bracelet integrated into the watch, with Rolex-like folding clasp but with additional flip lock safety; all steel and two-tone models, with both quartz and automatic versions. Second generation (1992) – The same as first generation except for revised hands – hour hand has simple stick, minute a simpler straight stick, crown has a finer milling on the edge instead of the earlier gear-shape. Third generation (1993) – New case shape with more defined curves; Larger crown guards; Helium relief valve; Outer edge of bezel now smooth sculpted; Completely new bracelet style; Additional pips on bezel markings between the 15 and 60 markers; and Depth rating increased to 300M. Fifth generation (2000) – New dial style was extended across more models in the Seamaster Professional line for new models introduced in the year 2000; New style bracelet (a link style virtually identical to that on the Speedmaster), which was originally intended to replace the “Bond” bracelet on almost all models. 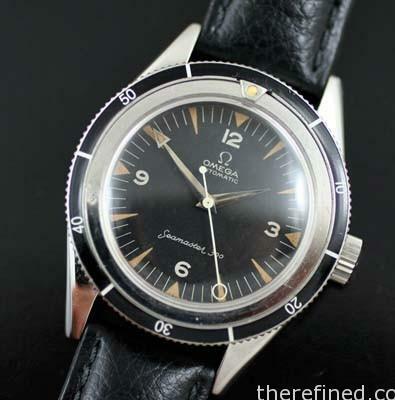 In OMEGA USA and South American distributors, the existing Seamaster bracelet link style was still available and usually the default choice on most models. 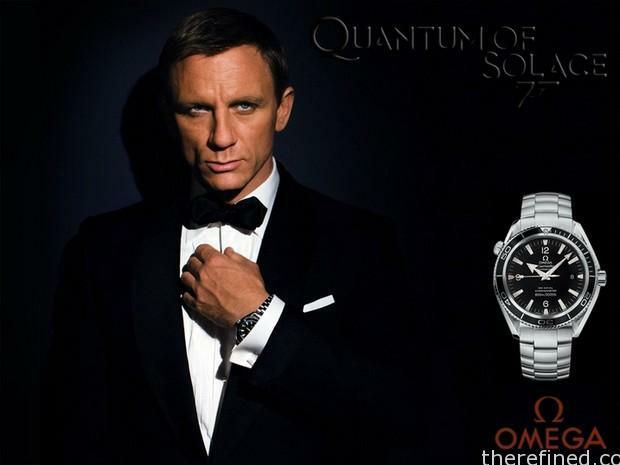 Since 1995, OMEGA has been associated with James Bond movies with Pierce Brosnan wearing the OMEGA Seamaster Quartz Professional and OMEGA Seamaster Professional Chronometer and Daniel Craig the Seamaster Planet Ocean and Seamaster Diver 300 M. While the Rolex Submariner had been previously worn in Bond movies, OMEGA was also eager to participate in high-profile co-promotions and product placement opportunities to further its branding and awareness among the general public. A brand new OMEGA Seamaster will cost somewhere in the $1,500 to $3,500 range for stainless steel versions and up to $20,000 for solid gold versions except for the Skeleton which is reportedly sold for around $44,000. Amazon offers some of the best ways to buy a Seamaster at a good price. 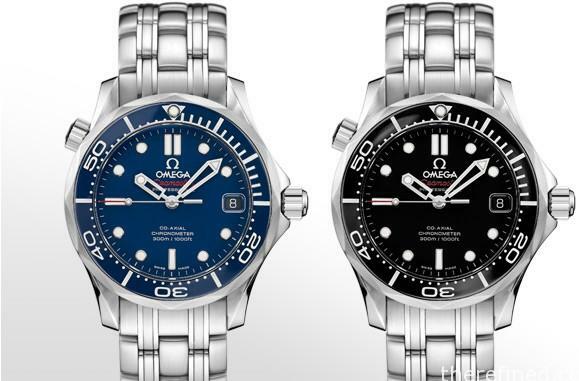 So which is the best – Rolex Submariner or OMEGA Seamaster? The best watch options depend on the needs of the buyer or owner’s perception and functionality. There are millions of happy Rolex owners, as well as millions of happy OMEGA Seamaster owners and other high-end watch brands. 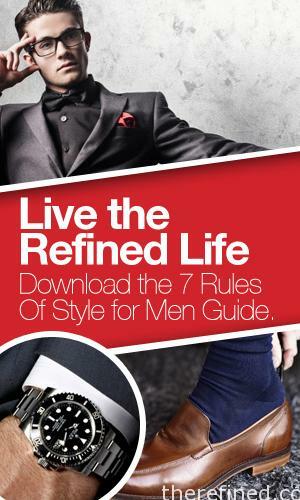 People say that to make a man, you need a well-tailored suit and a nice watch. A wrist watch is no longer a necessity when telling time for some of us because our smartphones are just an inch away. But for men, watches make them tick. Watches for men are like car keys – a way to display what they are proud of without being pompous. It’s undeniable that a lot of men are captivated by the engineering designs and are more than willing to pay exorbitant prices to commemorate a significant milestone in their lives or simply just to treat themselves.